the democratic leader is filibustering but a partisan motion on an unrelated form policy issue? i didn't see that come to the floor for a vote like i said at least we know the score. t here is my commitment to israel and jordan in the syrian people. i will continue to force these tactics into the light of day. democrats may vote a fourth or fifth time to filibuster these bipartisan bills even as they turn toward other business. but republicans will notme abandon the need for leadershipip in the world. would have a vetoproof majority. 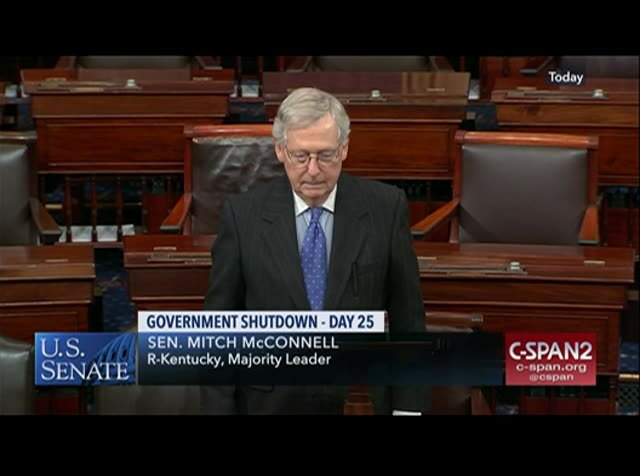 i appeal to leader mcconnell do what is right for the country and hundreds of thousands of federal employees laboring without play one - - without pay. president trump may not care about the harm he's doing to all these people that republican senators including leader mcconnell should. a few yearsea ago leader mcconnell remarked remember me? 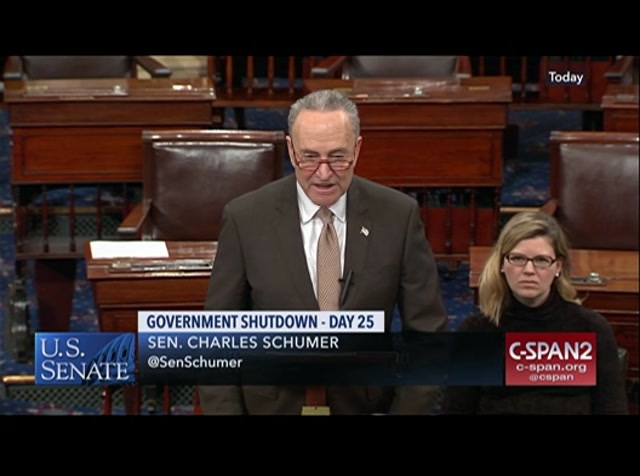 i'm the guy that gets usus out of shutdowns so now is the time leader mcconnell so allow a vote on legislation to reopen the government in a short time a few of my democratic colleagues will assess and for that chance leader mcconnell helpua us fix will they join us flex? 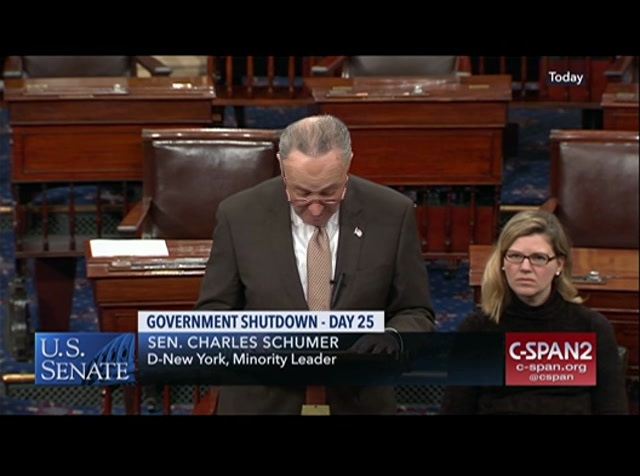 Senate Minority Leader Chuck Schumer reiterates his call for Majority Leader Mitch McConnell to open the government by taking up the House-passed spending legislation and then debate border security.